Frank Horrigan is the only active Secret Service agent who guarded John F. Kennedy on the day of his assassination. Through the years, Horrigan turned to booze to relieve the overwhelming guilt for not acting quickly enough during JFK's assassination. 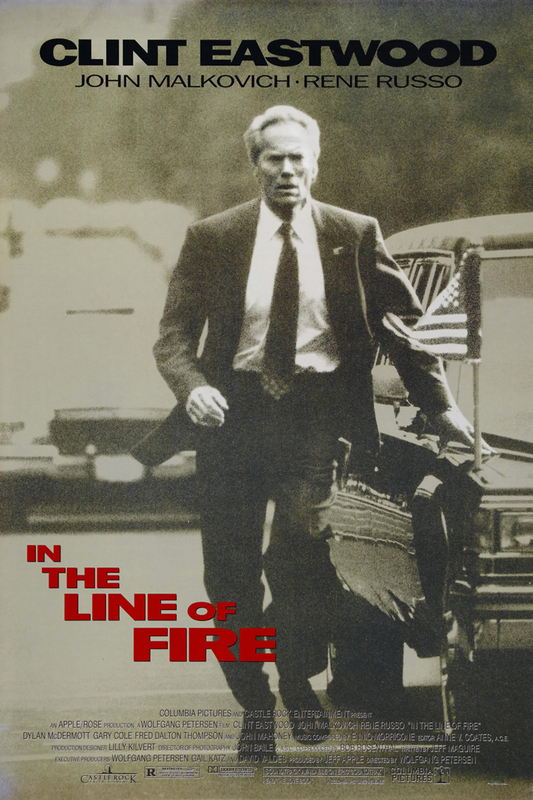 One day, Horrigan receives an anonymous phone call from a man stating that he plans to kill the the President. Horrigan finally figures out that the mysterious man's name is Mitch Leary, a former CIA agent gone rogue. As Horrigan devolves to an increasingly paranoid state-of-mind, he makes a number of errors that lead him to be relieved from his position on the President's protective detail. Finally, Horrigan figures out that Leary is planning to assassinate the president at a campaign dinner and, ultimately, jumps in front of the bullet to foil Leary's plans.